In a hurry-up world, the garden keeps its own time. Old-fashioned plants like raspberries, asparagus and rhubarb ask us to slow down and wait for the sweet reward they offer. Commentator Julie Zickefoose revels in the waiting. I have a friend who lives up in the mountains of North Carolina who loves to give me wonderful plants. Usually Connie gives me native prairie plants, and I plop them in the meadow, and it's no big deal. But this year she gave me raspberries. Not just any raspberries. 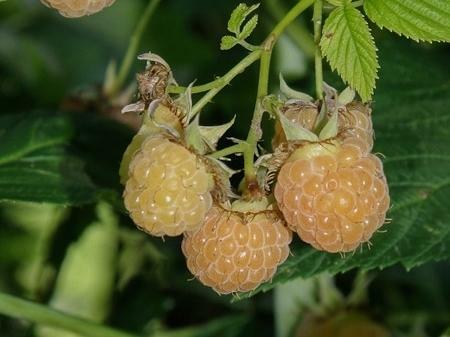 Golden raspberries.